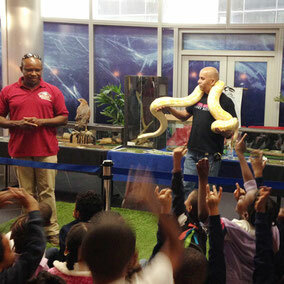 Kids from a local school get to grips with one of our 'animal ambassadors' - 'Attz' the burmese python. She's not from this country so can't be released here and her job is to teach these children that snakes are not evil, slimy or aggressive, but in fact fascinating and beautiful reptiles. Please don't kill them! Like most animals - if you leave them alone, they leave you alone. 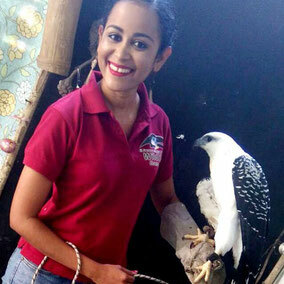 Educating the citizens of Trinidad & Tobago and visitors to the country about the biodiversity of Trinidad and Tobago is vitally important in conserving our native flora and fauna. To date more than 300,000 people have visited our centre or attended our outreach programmes. One of the most positive ways to effect change is through education. Our children are the future and it is they who will make the big differences to our world. This is why we at ECWC put so much time and effort into environmental education. Books are great but give kids an experience that they will remember and tell their friends and then the lessons really begin to sink in. ECWC environmental education workshops and events provide an exciting and enjoyable way for children to learn about the wildlife and ecosystems of our country. It is our hope that they will be the ones to cherish and protect it in the future. 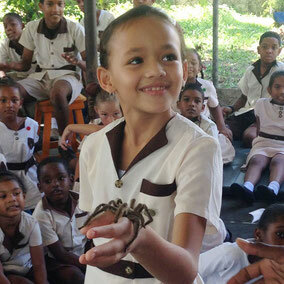 ECWC runs free outreach workshops to educate school kids and community groups. Workshops can be on many different environmental and wildlife subjects. If it's a long time since you were in school then don't worry - adults are welcome too! Private educational events featuring our 'animal ambassadors' are entertaining and exciting ways for people to learn about wildlife. Events can be tailored to your needs but please contact us in advance as they require planning and organisation. You are welcome to visit the centre to learn more about what we do, the wildlife of Trinidad & Tobago and how to protect it. Our days are busy so please contact in advance and make an appointment. 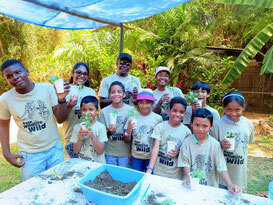 During school holidays we run Wildlife Camps. 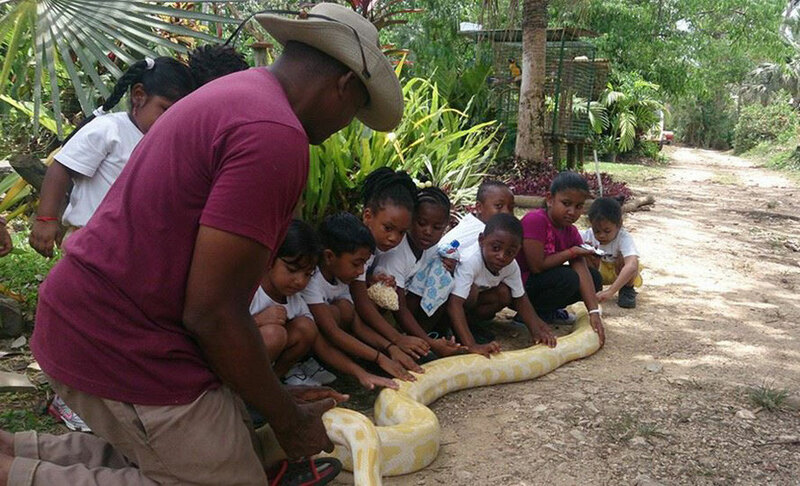 These are 3 day events designed to educate groups of kids all about the natural world and the wildlife we have here on the islands, as well as teaching some basic animal care and handling skills. Our little 'wildlife warriors' have a great time getting stuck in doing hands-on work with the animals - and we've discovered that kids learn and absorb the most when the learning is fun too! Camps run at $420 for the three days, including t-shirts and activity books, and 100% of the funds raised go back into running the centre. If you are interested in booking a place for your child then please download the files below.